Supreme Court justice Ruth Bader Ginsburg spoke with legal studies students during a visit to Brandeis celebrating Louis D. Brandeis' centennial. Trying alleged terrorists in absentia while studying international law might seem like the job of a seasoned legal mind, but Brandeis undergraduates are engaged in such work through the Brandeis in The Hague study abroad program. The Legal Studies Program deals with broad questions about justice arising in a complex world. Our courses are open to students from all departments and majors. The only prerequisites are the curiosity to ask critical questions and the passion to explore practical steps to social change. Legal Studies at Brandeis builds on the liberal arts model. In the words of the famous Supreme Court Justice Louis Brandeis, "The study of law should be introduced as part of a liberal education, to train and enrich the mind." You cannot major in Legal Studies because justice requires the specialized knowledge found in sciences, social sciences, humanities and creative arts. Justice also requires close familiarity with local problems and global challenges. Whatever your primary field of study, you will find Legal Studies courses that draw out the social justice dimension. With knowledge about legal systems, and with skills of legal analysis and advocacy, you are ready to find a richer balance between theory and practice. The interdepartmental Legal Studies Program presents law in the broad context of history, economics, politics, philosophy, literature and the sciences. By tracing law's impact within the fields of health, business, environment and creative arts, graduates are prepared for a wide range of educational and professional opportunities. The scope of legal concerns studied in the program ranges from the local (town, city and state) to the national and expands to the global (regions and international bodies). The Legal Studies Program encourages students to explore legal systems globally. We encourage students to explore study abroad programs, especially Brandeis in The Hague. Brandeis in The Hague program is an intensive academic experience open to students in all fields of study. It covers a wide range of global concerns, combining classroom study and immersion in the international law networks associated with this famous "International City of Peace and Justice." 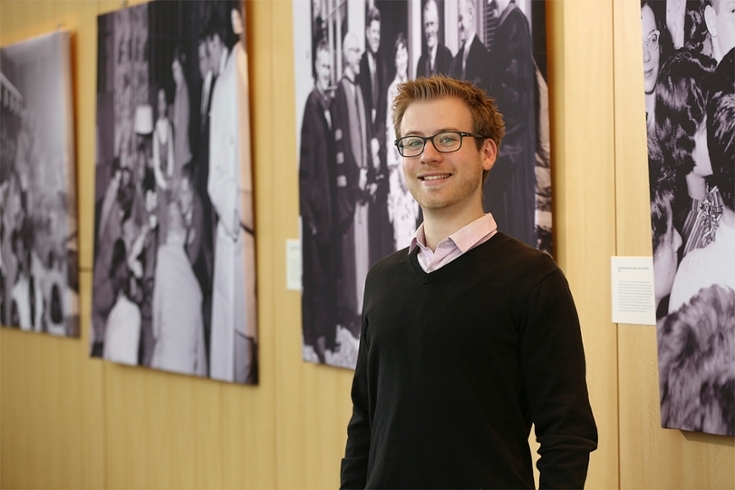 Jonathan Goldman '19 came to Brandeis in order to make everything he does have a purpose. Outside of the classroom, he's started a nonprofit, The Right to Immigration Institute, to provide legal resources for immigrants in Waltham, and he is the youngest elected member of the Massachusetts Democratic State Committee.